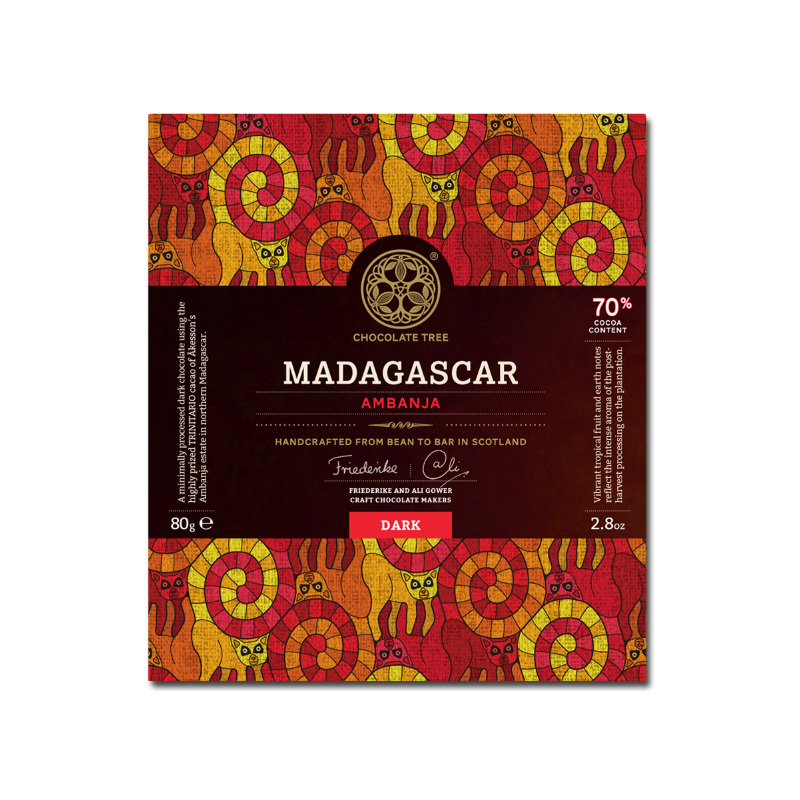 An vibrant and fruity 70% dark chocolate made from Madagascan Criollo beans and conched for 45 hours. This pack contains 2 x 40g bars. 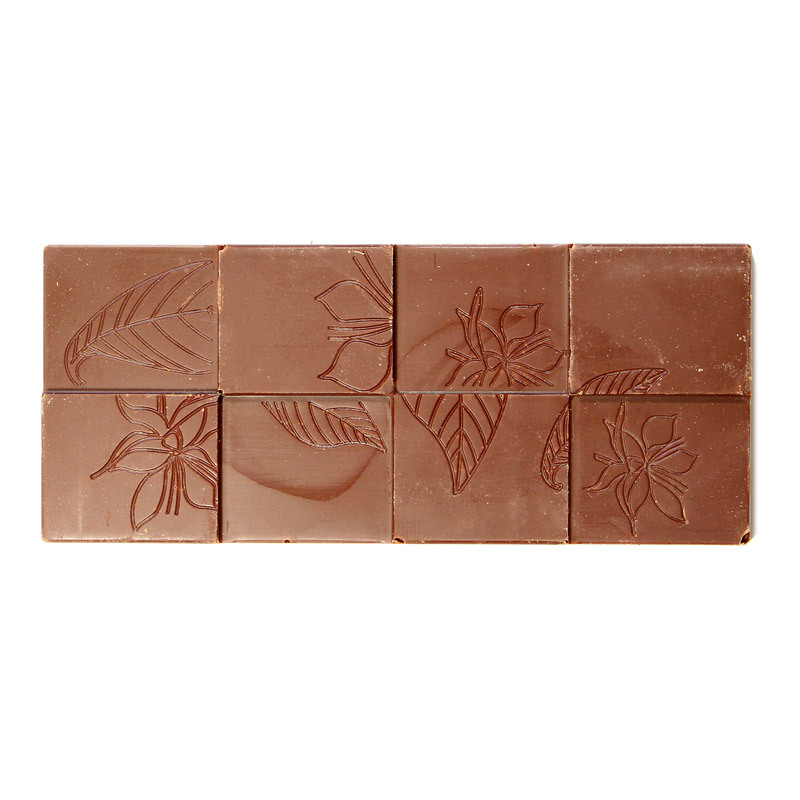 Madagascan cocoa beans are known for their natural fruity flavour notes, and this bar from The Chocolate Tree is a great example of a typical Madagascan chocolate. Put a piece on your tongue and let it melt, and you’ll be amazed by the intense, vibrant fruity notes that come through. It’s a flavour that’s even more surprising when you learn there’s just two ingredients in this chocolate; cocoa beans and cane sugar. We think this is a great bar to share with friends to help them understand what artisan bean to bar chocolate is all about. They won’t believe such a range of flavour can come from nothing but the humble cocoa bean. Ali and Friederike source their Madagascan beans directly from Bertil Akesson’s estate in the Sambirano river valley. May contain traces of dairy, nuts, soy & gluten.